Although it’s only June, the time has come to begin thinking about the next batch of Autumnation, Sixpoint’s fall seasonal. This year we’ve tweaked the recipe, setting aside the addition of pumpkin, to focus uniquely on the bright, juicy hop flavors of the harvest season. To reflect this update, we’re also unveiling a new Autumnation logo that embodies the spirit of a harvest ale. 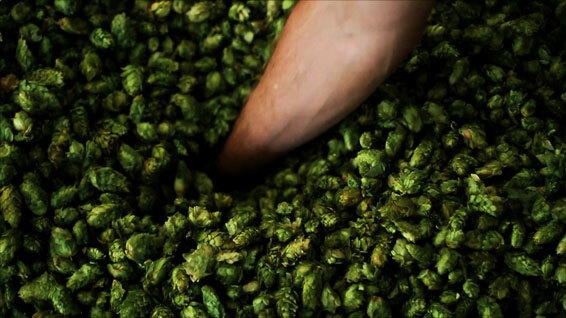 Our fresh-hop brew features wet hops of a single strain. The choice of that strain, as it was last year, is up to you. Wet-hopped ales are a brewing evolution largely pioneered in the last ten years – a rare new frontier in the thousand year old brewing industry. By adding freshly harvested hops directly to the brewing process, without removing their moisture (hence, wet-hops), brewers can preserve fresh, unique flavors and aromas that are not present in other beers. And since American hops are picked in the late summer, the American “harvest ale” is a delicacy only available once a year. So with all that amazing flavor packed into the hops, the choice of strain is more important than ever. Last year’s selection, Citra, with its tropical and citrus notes, made for a great brew. This year, we’ve got four delicious fresh hops to choose from, complete with brief descriptions. It’s an all-new Autumnation in more ways than one! Join us in our annual celebration of hops, the brewer’s spice, by voting below.